Dozens of stamp sets from the 2009-2010 Idea Book & Catalog are retiring, and June 1-30 is your last chance to get your favorites. Check the list below, then contact me to place your order before this last chance is over! 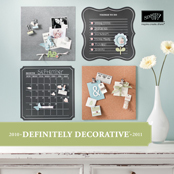 Dozens of home décor items from the 2009-2010 Fall-Winter Definitely Decorative catalog and Spring-Summer insert are retiring, and June 1-30 is your last chance to get your favorites. Check the list below, then contact me to place your order before this last chance is over! We took a trip down to IKEA today after trying the new spicy Chick-fil-A sandwich. The sandwich was great...not too spicy...and the pepper jack (I think that's what it was) cheese made it perfect! I bought three jars to use with my Chalkboard Decor Elements. The only thing I regret is that I didn't buy the largest jar--instead I bought two medium-size jars and one small one. I have hopes for using these in our schoolroom...but before you judge my penmanship (LOL) I had to use one of the boys' giant chalk pieces. In doing so I learned that decor elements wipe off beautifully! Yay! I'm excited to participate in Dawn's color challenge this week. I had to make a "gift card" of sorts to send a special gift through the mail so I thought it would be perfect to incorporate her colors into my card. And...I have been dying to use my new Decor Stencils. )! The cost is only $20. Plus, you’ll learn how to reproduce these projects to make more Christmas gifts! Picture Details: The monogram note card set includes 8 cards with matching envelopes and a clear box. The example uses the Jumble Alphabet but you’ll also have access to any of my retired alphabets. The notepad (tallest in the picture) includes a 25 sheet notepad covered with cardstock and Designer Series paper. The two together or alone make a perfect coordinating set. There is an acrylic post-it note holder in the bottom of the picture and a “thank you” mug (a great teacher gift!) filled with chocolate candy. You’ll be using a flower from our Décor Elements line to decorate the mug. Sunday, November 15 @ 2 p.m.
Register by Wednesday, November 11. Pre-payment is required. There are a limited number of spaces available. Remember the class I mentioned on Sunday's post? I finally took a picture of the projects we made. I am hoping to offer some of these at another Giftables Class at my house in November. My Very Own Growth Chart! In yesterday's post I told you that I just applied the Décor Elements Growth Chart to one of our walls upstairs. Here are a couple of pictures. Don't miss out on this special opportunity. Read the next post for more information. Hurry! This offer ends on Wednesday, September 30th! Purchase the brand-new Décor Elements Growth Chart, only available August 1-September 30, and as an added bonus, receive a free applicator tool with your purchase (a $1.95 value). Would you believe that it took me all day to put together this calendar with all the distractions--laundry, baking (my Amish Friendship Bread was overdue! ), meals, a trip to the store, teaching, etc.! I absolutely LOVE it! I used the Décor Elements and got the idea from UStamp and the Phase 2 Décor Elements brochure. I used a magnet on the glass and on the back of the envelopes. Décor Elements. You will not want to miss the new color options, as well as holiday-themed products. Click on the link below to view the new Phase 2 brochure! Stampin' Up! 's Décor Elements product line is self-adhesive vinyl art for walls, mirrors, windows, or other hard, smooth surfaces. It is an extension of our Definitely Decorative home décor line, which is another way to express your creativity--just on a larger canvas than a card or scrapbook page! 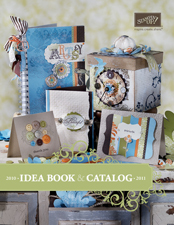 Here is the link to the new Décor Elements Brochure.